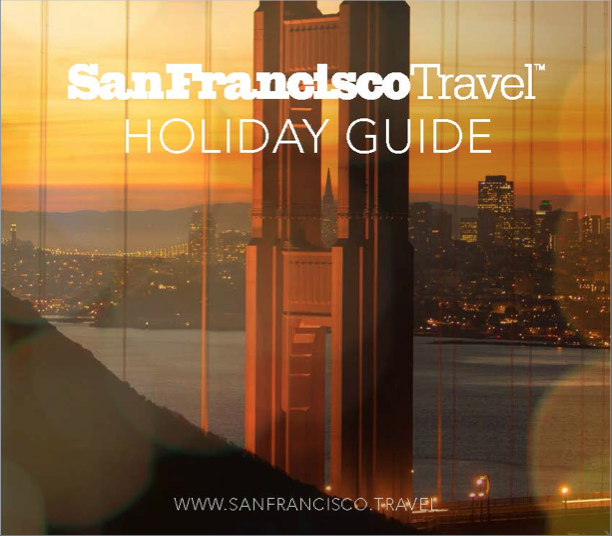 San Francisco Travel Holiday Campaign was an annual cooperative integrated marketing program that leveraged San Francisco’s world-renowned attractions and icons to create compelling content with the ultimate goal of influencing travel to San Francisco during the holiday season, Nov. 1, 2015 – Jan. 4, 2016. Promote overnight visitation to San Francisco during the holiday season; hotel occupancy is the lowest at this time of year. Included editorial highlighting partners, hotel offers, video and content series. Created a special microsite featuring city-wide light art. Included information on festival news, installations, videos and maps. Created four :30 - :50 easy to digest video content and imagery allows us to bring SF holiday activities to life. 11 emails sent to subscribers with a focus on holiday leisure travel. Promoted holiday-themed content focusing on events, scenic beauty to a targeted audience. 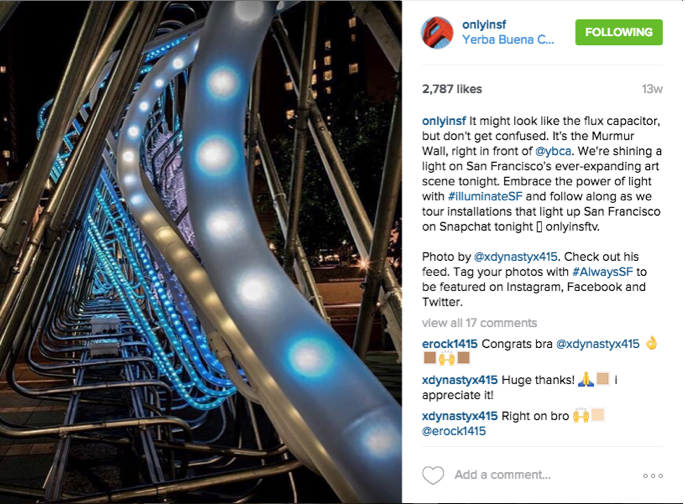 Hosted 5-6 social media influencers during an IlluminateSF art walk. Created a 44-page holiday guide to collect email signups. 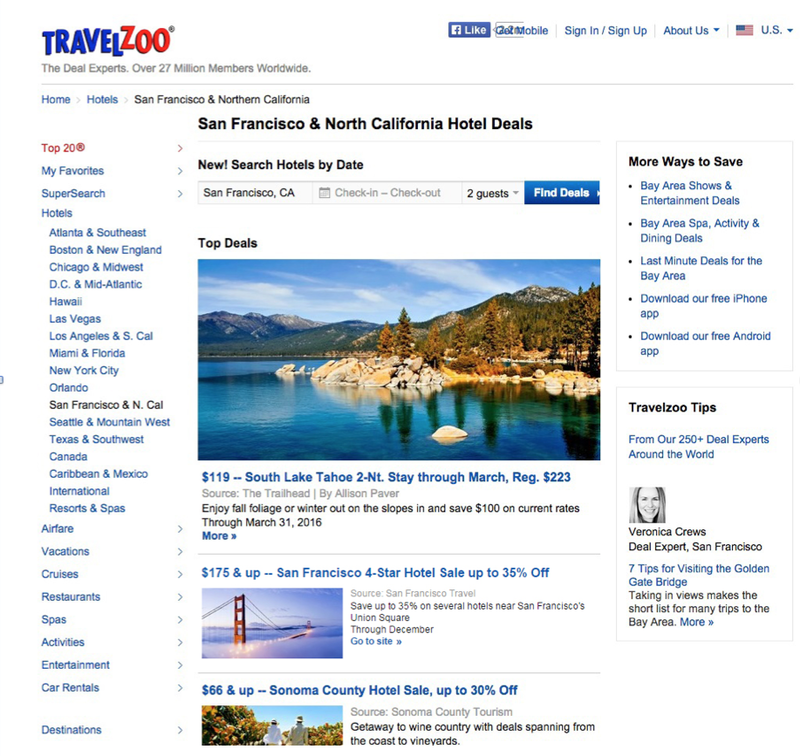 Promoted San Francisco hotel offers on TravelZoo from Nov. 1, 2015 – Jan. 4, 2016.